It was picked up by The Times, the BBC and others in September last year, but it hasn't gone away. We are talking here about Directive 2004/40/EC, known as the Physical Agents (Electromagnetic Fields) Directive, which sets absolute limits for workplace exposure to electromagnetic fields. It was adopted by the EU last year and must be incorporated into member states' national law by 2008. Back in September, The Times was warning that the directive could needlessly endanger the health of thousands of British patients, many of them children, make illegal up to 30 per cent of the scans conducted in Britain each year, including half of those performed on children. There are almost 500 MRI scanners in UK hospitals, performing over one million examinations each year. The government has recently invested around £100 million in over 100 new scanners. The problem arises because medical workers who have to stand close to MRI scanners during imaging - which is required for certain types of treatment - are exposed to levels substantially above the limits set by the directive. The UK is especially badly affected as it is here that new uses of MRI have been pioneered, which let doctors see how treatments are working. These will also be prohibited under the new law. However, there is absolutely no evidence that this exposure carried any risk, which led The Times to cite "leading experts on magnetic resonance imaging", including a scientist who won a Nobel prize for pioneering the technology, declaring that a particularly perverse consequence of the directive would be that many of those who would benefit from MRI scans will instead have X-rays, which are well established to pose a much greater danger to both patients and medical staff. 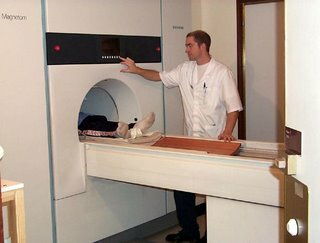 Back in September, a group of 12 MRI specialists wrote to heath secretary Patricia Hewitt, urging an amendment of the directive to reduce its impact on medical scanning. 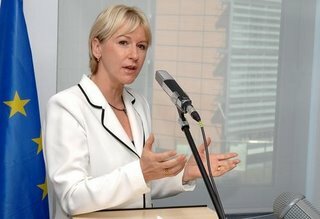 The EU commission itself is now well aware of the problem, having published the British scientific reservations on its website in early February, but there is no record of it having taken any action. Now, the Institute together with four other scientific organisations, has written to the House of Commons Science and Technology Committee to highlight the concerns over the proposed restrictions and the effects they will have both on research into and the treatment of life-threatening diseases such as cancer. They have also written to Vladimir Spidla, the commissioner for social affairs to call upon the commission urgently to review the directive. Needless to say, this directive was scrutinised by the Council and our highly-paid MEPs, and subject to a regulatory impact assessment by the HSE, but none of these august bodies managed to identify this serious and life-threatening problem - and none opposed the directive. And, despite a promise of government action, at this time, we are no further forward. What a way to run a railway (not). 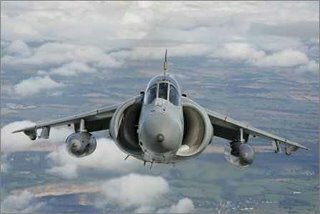 Not only did this week mark the retirement of the Royal Navy's last Harrier fighters, leaving the fleet without organic air cover until at least 2017, it was also the week in which in which six Scottish regiments disappeared "for ever", to be replaced by the "super" Scottish Regiment. 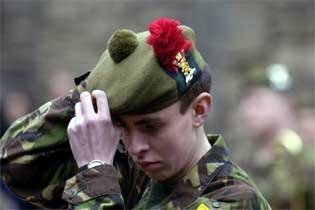 The demise of the Scottish regiments has been the subject of much press over term, and is currently being discussed in the letter column of The Daily Telegraph, most notably today, under the heading "Politicians knife Scottish regiments". This follows on from a piece written by military historian John Keegan a couple of days ago but what is missing from this piece and only barely mentioned in the letters today is the correct reason why the regiments are being reorganised. Keegan cites General Sir Michael Jackson, the Chief of the Defence Staff, who he says argues that the changes will improve the career patterns of soldiers by reducing postings between stations and so stabilising family life – but that is one outcome, not the reason. Touched on in only one letter is a reference to "ministerial assurances on 21st-century mobility", and it is here that we need to look for the rationale for the changes. The Infantry is being be structured to provide the nucleus of the proposed medium-weight, net-centric armoured forces. These will form the core of the expeditionary capability of that will enable the UK to fulfil its commitments within the European Rapid Reaction Force. In other words, the current reorganisation has a very strong "European" component and is intimately associated with European defence integration. The trouble is that we have made this point before, here and here, and have also remarked on the inability of the media to address this these issues, for instance here and here. There are only so many time we can keep banging on, repeating the same message. But the information is there for anyone who wants to look at it, and our commitments to the ERRF are in the public domain. That the media, and especially the Conservative opposition and the Eurosceptic community – plus all the campaigners, have failed to engage with this issue represents one of the most egregious failures of contemporary politics. Not for the first time, therefore, when those few who even take an interest in this issue seem content to winge about cap badge and the "loss of British traditions", without engaging with the real issues, we wonder why we bother even trying to point out what is really happening. 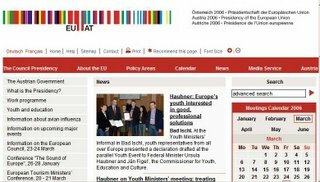 A feature of each six-monthly presidency of the EU is that the member state in the chair runs its own website. National pride is very much at stake, and the sites become showcases for the presidency efforts. However, not all is well in the virtual presidency world as the Germans have been complaining about their language not being represented on the sites and the EU's ombudsman has agreed that their complaints have not been treated properly. All this started in 2004 when an association for the defence of the German language wrote to the Dutch and the Luxembourg governments asking from German as well as English and French languages to be presented. For reasons that we can only surmise, however, both the Dutch and the Luxembourg governments rejected the complainant's request - slowly. The complainant's letter to the Dutch government of 21 April 2004 was only answered on 6 August 2004. The letter to the Luxembourg government of 2 September 2004 was only dealt with on 18 November 2004. Furthermore, the Dutch authorities replied to two e-mails sent by the complainant in English, although a reply in German had been requested. That was enough to get the German association really worked up, sufficient for them to take a complaint to the council. Initially, though, the Council had offered the equivalent of "nothing to do with me guv". The member state holding the presidency was solely responsible for its website, it said. EU ombudsman, P. Nikiforos Diamandouros was then drafted in, and he disagreed. In his draft report issued yesterday, he decided that the presidency was functionally part of the Council, so the presidency's websites could not be considered as "national" websites outside the reach of Community law. He thus concluded that the council's failure to consider the Germans' complainant constituted maladministration, and called on the council to consider the complainant's request that the internet presentations of the presidencies should be made available in German as well. Perhaps of more significance though, this finding confirms that the EU presidency is not a national "perk" but a functional part of the council that must obey EU rules. When Tony Blair took on the job last year, therefore, he was not acting for Britain for those six months, but for the EU. The presidency was not ours, but theirs. Detailed in The Times today, and at greater length in The Daily Mail (no link) is the latest act in the dire tale of the destruction of our once effective directory enquiry service. 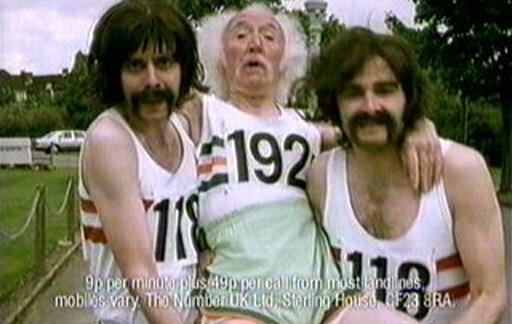 These reports are based on Ofcom’s latest round of research into "the performance of the liberalised 118 directory enquiries market", which demonstrates that telephone customers have no idea of the cost of a call to directory enquiries – with prices varying on a BT landline at an average of 54p - up eight percent on last year – to a maximum £2 when dialling a 118 number from a mobile phone. Ofcom's report states: "Given the wide variation costs and how costs are calculated, it is perhaps not surprising that call costs are not well understood by consumers. Many are neither able to say what their chosen provider charges for a single call nor where they would go for trusted information." UPI adds more detail, noting that, of 2,000 users surveyed, 67 percent said they used the phone directory service less frequently. They either use a phone book or the Internet to look up numbers. This is just short of three years after what Booker described as the great "118 directory inquiries fiasco". He was almost alone in claiming that the decision to abolish the old "192 system", in favour of a mad multiplicity of call centres providing numbers, resulted from a European Union directive. Member States shall ensure that all exclusive and/or special rights with regard to the establishment and provision of directory services on their territory, including both the publication of directories and directory enquiry services, are abolished. This was hotly disputed by Oftel at the time, and then by the EU commission. The latter, in its weasel way, chose to confuse the issue by avoiding any discussion of Directive 2002/77 and focusing on the change of number from 192 to 118, denying that the EU had made that change compulsory. Strictly speaking, that was the case, as the EU had only "recommended" the change in its COM(96) 590 - "Towards a New European Numbering Environment" – but, as we all know, in our government's relations with its masters in Brussels, a nod is as good as a wink. Number notwithstanding, the resultant shambles which, a year later had halved the number of calls to directory enquiries and had been roundly condemned by the National Audit Office, was entirely due to EU intervention. Yet, despite that involvement, apart from Booker, there is little if any media acknowledgement of the role of Brussels, making it one of the many – and perhaps the most egregious – examples of "hidden Europe". Following on from our report on the great organ saga, Douglas Levey of the Institute of British Organ Building (IBO) met officials of the Department of Trade and Industry yesterday, in an attempt to clarify the position regarding the application of EU directives. The British officials, however, were adamant that, as they now stand, directives 2002/96/EC (Waste electronic and electrical equipment) and 2002/95 on the Restriction of the Use of Certain Hazardous Substances in Electrical and Electronic Equipment (RoHS) do apply to these musical instruments, the latter depending on the former for its application. Their view is that, as long as their pipes are made from lead – and there is no alternative material - from July, it will become illegal to manufacture organs in the EU. 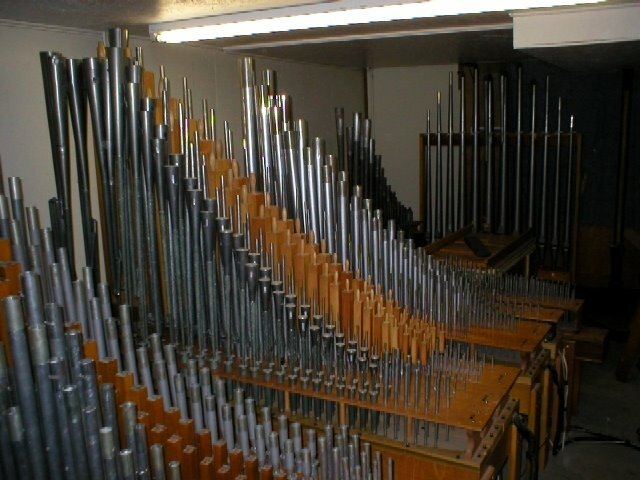 I am very happy to have the opportunity to tell all the people in the UK that church organ pipes are not covered by the directive on electronic and electrical waste. You can fill all your churches with as many leaded pipes as you want. The Commission will not interfere with that. Just make sure that now and then the poor people in the UK hear the truth, as they rarely receive correct information. You can rest absolutely assured that the directive does not cover church organ pipes. There we have it, from the horse’s mouth, on which basis, the problem would appear to be sorted. Once again, we seem to have the British establishment at odds with the commission on the application of EU legislation. In passing, has also to remark on the intervention of East Midlands Conservative MEPs Roger Helmer and Chris Heaton-Harris who, even as the fragrant one was speaking, were issuing a press release, in which they declared that they had "reacted with anger to news that new EU legislation could threaten the future of traditional pipe organs in the region's churches." Had, of course, they actually been in the chamber to listen to Margot, the tenor of their release could just have been a tad different. Yesterday’s Daily Telegraph was, understandably, full of the two strikes – the one in Britain to preserve the pension rights of public sector workers, specifically of UNISON members; the one in France to preserve the rights of young people to remain unemployed. There is not much to say about the British strike. Slogans of “Hands Off Our Pensions” are not going to be read with any kind of sympathy by people who have in the last week received their horrendously inflated local tax bill and who know that “our” pensions are paid for by our taxes. The French situation is, of course, much more interesting, what with students demonstrating for their right not to be employed or, at least, for their right to deny employment to other young people; unions going on strike; shoppers being attacked by students; and students being attacked by hoodlums from the banlieus. Actually, they might not be hoodlums, just people who have realized that the pampered denizens of the Sorbonne have taken upon themselves to decide their future. And everybody is being attacked by the flics. All good fun. A very long run, I’d say and most French would agree with me. Birth rates are important but they are not the only thing and compared with an impossible economic and social situation with no sign whatsoever of the slightest attempt to change it, I’d say the fact that the the production of babies in France was at a marginally better rate than in Germany or Italy is less significant. 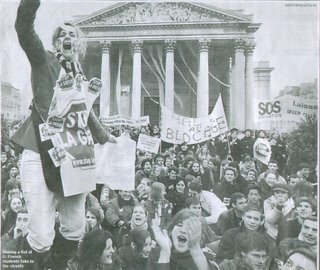 Then there was a picture headed: “Making a fist of it: French students take to the streets”. You will not find this picture on the website. 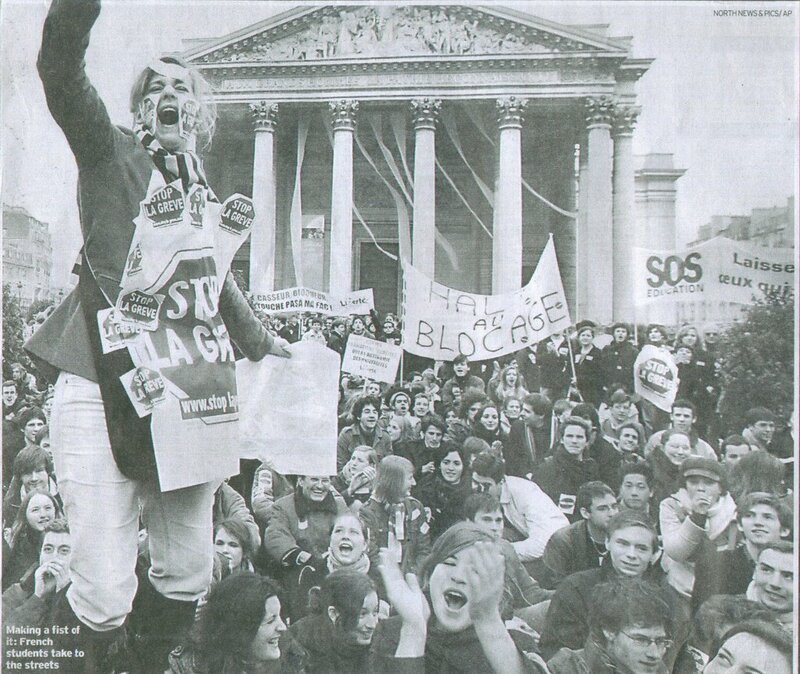 For in the printed newspaper the slogans in the picture are rather odd: “Stop la Grève”, “Halt au Blocage”, “SOS Education”. A quick check on the internet confirmed my suspicions: these were the slogans of the counter-demonstration, organized by Liberté-Chérie, which has had no coverage in the British media. I know French is not an important language any more but does nobody in the Telegraph picture section read any of it? 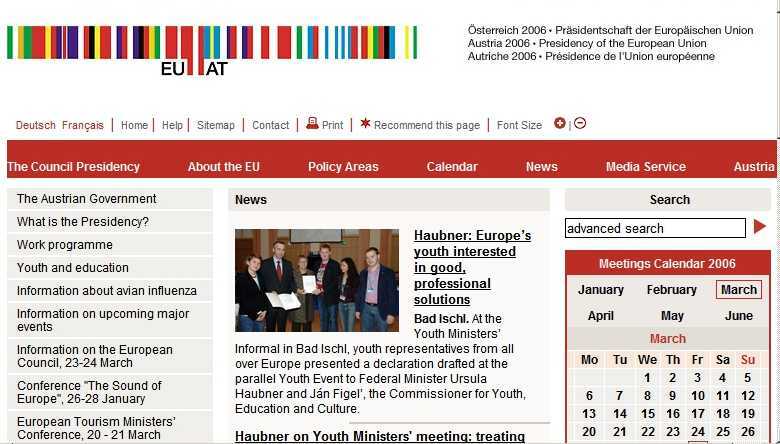 On the web they put up a Reuter’s picture of the correct demonstration. Well, it’s my blog and I can post off-topic. Actually, my colleague has reluctantly allowed it. 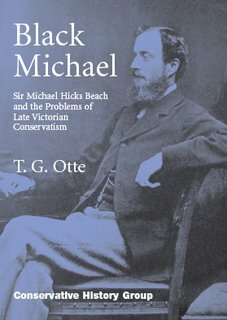 Anyway, one of my many other hats (it gets very confusing in the morning, I can tell you) is that of the editor of the Conservative History Journal. Its owner, the Conservative History Group, an excellent institution, set up and run by Iain Dale, has been having problems with the website. So, errm, I suggested setting up a blog, to be turned into a new website at some later stage. Well, of course, all ideas like that are always gladly welcomed by other people. So, here is the new blog. Not much on it yet, but it will grow. Naturally, I am hoping that there are some potential conservative historians or historians of conservatism among our readers here, who will immediately get in touch with me and send me ideas for posting, complete postings and possible articles for the Journal. Well, I can dream. A simple, cheap, life-saving road safety measure is being delayed by five years, owing to a fatal confusion over whether a British minister has the power to introduce it, or whether he has to wait for EU legislation before he goes ahead. 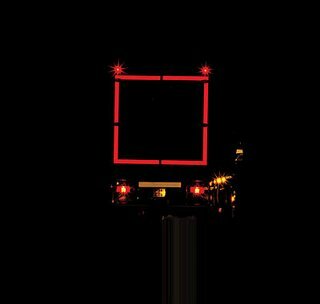 The issue at stake is the fitting of reflective markings to the side and rear of heavy trucks, which – at a cost of little more than £100 per vehicle - have been shown to reduce accidents involving trucks and passenger cars in poor visibility conditions by 95 percent. In the UK each year, it is estimated that 30 to 34 occupants of cars are killed in collisions with the tail end of HGVs and that another 40 to 44 people are killed in side collisions. Many more are injured, some very seriously. 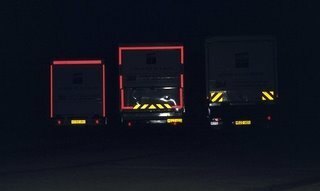 Research has since demonstrated that some 45 percent of all fatalities caused by road accidents occur in darkness and pioneering research by the Darmstadt University of Technology in Germany has shown that 37 percent of all side collisions with trucks at night occurred because the trucks were seen too late. 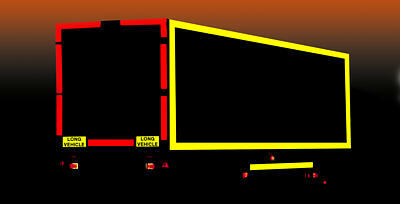 It was with that in mind, there is a provision within the Road Safety Bill, currently in its Committee Stage in the Commons to permit the secretary of state for transport to make regulations requiring the fitting of these makings to all new HGVs, as a measure designed to reduce the number of collisions. However, during the second reading of the Bill it emerged that the secretary of state was not proposing to introduce regulations until at least 2011, some five years hence. This was despite the government itself having commissioned its own research in 2005 from Loughborough university, which concluded that there was a cost benefit for fitting line or contour markings to newly registered HGVs. The government then launched a consultation, and of the responses, the vast majority were in favour. On Thursday last, therefore, Labour MP for Bolton West, Dr Brian Iddon, supported by Owen Paterson, Conservative shadow transport minister, tabled an amendment compelling the introduction of regulations that would require all new trucks to be fitted with markings from 1 January 2007. …because of obligations under United Nations Economic Commission for Europe measures and EU directives, which mean that we are unable to make any unilateral requirement of vehicles in this country. Were we try to change the legislation in the way suggested, our partners in the European Union would certainly object and take infraction proceedings against us… the amendment and the clause are redundant and perhaps illegal. On the face of it, therefore, this was yet another example of the dead hand of the Brussels bureaucracy holding up a measure, this time with potentially fatal consequences. 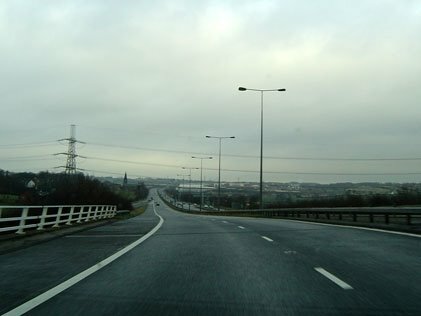 Owen Paterson estimated that, should the present position remain until 2011, there will be 1,540 avoidable collisions. As always, though, nothing is as straightforward as it seems. Subsequently, it was learned that, in 2003, the Italian government brought out a law making such markings a mandatory requirement. It notified the EU commission and received no objections, whence the law went into force in November 2003. Both Iddon and Paterson then tried to raise this at the committee meeting yesterday, only to be ruled out of order. Thus we remain in a state of fatal confusion. Evidenced by the Italian government's action, there is nothing to stop regulations on this life-saving measure being introduced immediately, yet according to our own minister, the EU prevents him from so doing until 2011. We cannot let the moment pass without a salute. Yesterday, twenty-four years after gaining legendary status during the Falklands War, the UK Royal Navy's last British Aerospace Sea Harrier fighters were retired. The Fleet Air Arm decommissioned its last six Sea Harrier FA2s, along with its last operational fast-jet squadron to fly the type: 801 NAS, at RNAS Yeovilton in Somerset. The aircraft will be flown to RAF Shawbury in Shropshire today and be placed in storage while discussions over their possible transfer to India can be concluded over the coming months. Read the full story here, in Flight International, graced with the excruciating pun, "Hover and out". The star of airshows, a showcase for British technology and the last front-line fighter ever to be produced solely by Britain – we will miss the beast. As the crucial Israeli election has drawn to a close, several things have emerged. One is that the turn-out was low, despite the fact that much is at stake. 57 per cent had voted at 2 hours before the polls closed, so one assumes that 60 per cent is unlikely to have been topped. Some analysts suggest (as analysts do long before there is data to analyze – a capital mistake, as Sherlock Holmes would have put it) that this may favour the smaller parties at the expense of the big ones. Some of the former are religious ones, some more secular, including one list that concentrates on the plight of elderly people in the country. There are also at least two Arab parties. Kadimah, the party formed by Ariel Sharon in order to break up what he saw as the Likud’s stranglehold on power, appears to be in the lead, but not quite as far as it had expected to be. The Labour Party is a close second with Likud trailing behind those two. However, the Israeli electoral system is very complicated and most governments are coalitions. It is not until we have the final results tomorrow that there will be any indication of how matters might develop. We shall report at greater length then. After the euphoria of late last year under the British presidency, we don’t here that much about Turkey’s accession talks these days. However, in the International Herald Tribune today, we have a comment from Sinan Ulgen, chairman of the Centre for Economics and Foreign Policy Studies in Istanbul, who has some interesting observations. There is, says Ulgen, a dangerous frustration is creeping in and the mood in Turkey has begun to sour. The initial jubilance has been replaced with alarm, and even anger, as scepticism about admitting a relatively poor, Muslim country into the EU has spread across the continent. Acknowledging the obvious, that admitting Turkey was never going to be easy, Ulgen goes on to say that European public opinion toward Turkey can best be described as lukewarm. But, he says, EU leaders should not deprive Turkey of the promise of full membership that it has aspired to for decades. Nevertheless, he claims, this is what is happening. The terms for opening negotiations with Turkey were riddled with unprecedented conditions and, even if the talks were successful, there was to be restriction on the free movement of Turkish labour into the EU - breaching one of the hallmarks of the EU's vaunted single market. There have also been mentioned "special arrangements for agriculture and regional aid" and the argument that Turkey should be granted a "privileged partnership" that falls short of membership has failed to subside. What particularly concerns Ulgen, though, is the measure was taken by France in amended its constitution in April 2005 to allow for a national referendum on all future attempts by the EU to expand. This, he calls "draconian" and he now expects it to be replicated by other member states, allowing European publics to directly vet future countries that want to join the EU. And, as if that was not bad enough, Austria, has been pressing to insert tough political conditions on criteria Turkey must satisfy in fields that are normally not heavily scrutinised for membership, such as education and culture. 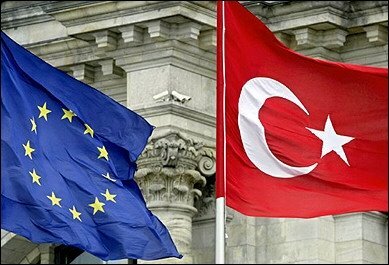 The last straw is the EU’s failure to deliver on its promise to alleviate the economic isolation of the Turkish Cypriots after they voted "yes" in a referendum on reunifying the divided island in April 2004, yet the EU is now insisting that Turkey lift its embargo on Greek Cypriot ships. This sequence of events, Ulmet feels, is already denting domestic support for the EU in Turkey, with a growing swathe of Turkish public opinion questioning whether Turkey should become a full member. The risk is that an anti-EU backlash in Turkey could halt vital political reforms such as better rights for women and minorities that have been driven by the carrot of EU membership. The EU was able to exert maximum influence and bolster domestic reforms in Turkey by offering an impressive menu of benefits crowned by the ultimate reward of full accession. But recent developments are undermining the credibility of this reward. Even if accession is officially on the table, Turks increasingly perceive the deterioration in the likelihood of achieving it. No credible political leader can realistically be expected to espouse a seemingly losing cause. As a result, a serious national reappraisal of seeking full membership cannot be ruled out. Should that happen, political volatility in a larger region already beset by major instabilites would increase. It would then be up to historians to try to understand the causes which led the normally slow moving EU pendulum to swing from one end to the other in a matter of months. For our part, we have said that, to get a true measure of which way the wind is blowing, watch the real power in the land – the military. And, from initial enthusiasm, reflected in signals that major procurement decisions could be directed towards European companies, Turkey is hedging its bets, widening out its purchasing spread and investing in domestic production. Now, it seems, the population at large is beginning to fall out love with the idea of joining the EU – with who knows what consequence. For the EU, however, which boasts of enlargement as being its most successful foreign policy, it looks like another failure is on the cards. JSF – "no decisions have been taken"
Despite the optimism expressed by the admirable Defense Industry Daily over the fate of the Joint Strike Fighter, yesterday's exchanges in both Houses of Parliament indicate that we are no further forward in resolving the issue. In the Commons, Peter Bone tackled minister of state for defence, Adam Ingram, on the progress that had been made in discussions with the US, leading to an affirmation that the JSF would be bought. However, Ingram then admitted that "no final decisions have yet been made". Liam Fox popped up ask whether failure on the technology transfer issue "could drive the UK into further European procurement that is not, in this instance, in the strategic interests of either the UK or the United States? ", enquiring whether the minister understand the fears of the United States about the leakage of defence technology. "Would he care to reflect on the damage done by today's news that 41 German companies are being investigated over sales of equipment and technology to Iran for potential use in its nuclear programme, and the impact that that will have on Capitol hill?" he asked. Ingram retorted that it did not help "to point out that other nations are allegedly involved in things that they should not be doing, as such a claim has been the basis of press reports," but acknowledged that "there are some concerns within the US about this matter." In the Lords, minutes later, Lord Astor of Hever was tackling Lord Drayson, who wanted to know whether the government "will now constitute a sufficiently funded integrated project team to reopen and take forward studies on a marine variant of the Eurofighter Typhoon aircraft." All he got from Drayson was the assurance that "the necessary actions have been and will continue to be undertaken to ensure that we have the necessary contingency plans for the JSF project." Asked to deny reports that the MoD was considering the Rafale, all Drayson would say is, "I am happy to assure the House that the contingency plans that are needed to maintain our plan B are in place." 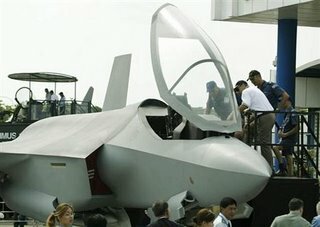 Asked also to give a guarantee "that there is no intention to share JSF technology with European countries?" as the US was "concerned that this could result in some technology leakage to the Chinese", Drayson stayed in assurance mode, telling the House that "we have all necessary safeguards in place to make sure that there is no leakage of information transferred to us as part of the JSF or any other programme." That much is wishful thinking – at best. I do wish the Noble Lords and Liam Fox would read the Framework Agreement of 2000, which commits us to mutual recognition of the signatory states' security clearances. If we did take on the JSF and decided on a European weapons fit – like the Meteor or Storm Shadow – we would have French technicians crawling all over the JSF, their clearances approved by Paris. Our parliamentarians need to wake up to the fact that, when it comes to defence secrets, we are bound in by Treaty to the other five nations of the Framework Agreement, to the extent that the "leakage" about which the US is concerned will be virtually impossible to prevent. Nevertheless, if we take Ingrams at his word, no decisions have yet been taken on the JSF. That, in itself, is significant. A few months ago, the JSF was a done deal. All it takes for a tarnished, jaded organisation, bereft of any serious or original ideas, to buy good publicity cheaply is to come up with a little populism. Thus it is that the EU commission has latched on the (historically) high price of using mobiles abroad - the so-called "roaming charges" – and is proposing a new, EU-wide law banning mobile operators from making these charges. Anyhow, the EU's largesse is not impressing Europe's largest mobile operator, Vodaphone which, according to Reuters, has warned the EU against rushing in with a new regulation. With about 100 million users throughout Europe, Vodaphone had written to the commission telling it that competition among operators is already forcing charges down and any "ill-judged" move could have unforeseen effects on the industry. For sure, roaming revenues are currently a lucrative source of revenues and earnings for mobile operators and a steep cut could hit them hard, with the investment bank Credit Suisse predicting that outright scrapping would cost operators seven to none percent of revenues and around 15 percent of earnings. But Vodafone points out that its own charges fell 30 percent in the last year for contract users, and sees competition driving them down further. "The normal reason why you regulate is that markets are failing in some way," says Richard Feasey, Vodafone's director for public policy. Therefore, he adds, the commission "will need to explain, given that national regulators have looked at this market and not found any market failure, why the Commission comes to a different view". The operators' own GSM Association claims that any new regulation on roaming would increase uncertainty and could put at risk further investment and development of new services, with Vodafone arguing that roaming charges were just one element in which mobile operators competed with each other, and urged that market forces be left to decide how much they fell. "Although it might appear to be an attractive and politically popular objective, there is no reason why retail prices for roaming and those for domestic mobile calls should be expected to 'converge' or be exactly the same," the company said. Therein lies the rub. The operators are in competition with each other, and will package their charges according to what they believe the market will bear. If the EU interferes with that package and forces prices down in one sector, you can bet your last euro that the operators will simply make up the revenue elsewhere. The end result could be that we all end up paying more, simply because those who travel abroad with their mobiles can pay less. But, when there's propaganda to be made in them thar hill, you can't expect the EU to listen. 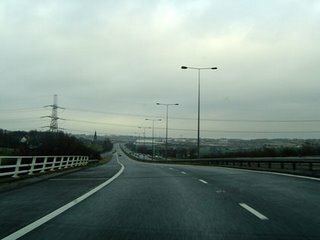 Heading towards Manchester the other day, as always I used the M606 to bring me to the trans-pennine M62. Just before you join, there is a speed camera enforcing an entirely irrelevant and unnecessary 50 mph limit. So unexpected is it that it is very easy to be caught. Having been trapped by this accursed machine myself, on approaching the camera I usually slow right down to the requisite 50 mph and sit in the outside lane of the two-carriageway motorway until I am past it, thus dissuading the unaware from steaming past and adding to the coffers of the local camera partnership. Generally, this works as anyone at least half-alert seeing a 3.5 litre 5-series BMW tooling along at 50 mph on the outside lane of a motorway tends to smell a rat and slows down. This time, however, it did not. A Volkswagen Passat came storming past me on the inside, at a rate of knots, completely ignoring the camera. Before he disappeared over the horizon – emulating an EU "intervention" force – I managed to note the number plate. It was Polish. Effectively immune for the law, the car driver must have known that little things like speed cameras need not bother him. It is with somewhat mixed feelings, therefore, that one reads today that the EU transport council has approved a single model driving license for all twenty-five member states, replacing the 110 models in force throughout the Community. The license itself, however, will be only the visible sign of a much wider harmonisation programme, which also encompasses standard license conditions and a requirement that each member state maintain a central, electronic database of license holders. On top of that, each member state agrees that penalty points imposed by one member state jurisdiction will be applied by administrations of offenders' home countries, where the offence has been committed in another member state and that a driver that has been banned in one member state cannot then drive in other. Ostensibly, these moves make sense. Although I have enjoyed the freedom of being able to drive with impunity on French roads, taking their 130 limit at face value – I never did understand these killermeter thingies, so miles per hour was quite good enough – it cannot be right that freedom to travel on other countries' roads also brings with it impunity from their traffic laws. Of course, there is always the option of the on-the-spot fine, but the greater deterrent are the penalty points. Currently there is no means by which one jurisdiction can impose these on a non-national. Nor would it be fair, for instance, to have that situation, if it ended up in a driver being banned in his own country for offences which would not have led to that outcome had he been tried in his own courts. We have, therefore, a situation which, on the face of it, provides a justification for "common action", which is precisely the rationale on which the EU relies. Interestingly, exactly the same issue is being confronted in the United States. Currently, driving licenses are issued by state authorities but there are moves to standardise the design and maintain a central database. There, as well as here, there are concerns that the license will become the de facto national ID card. Thus we have a conundrum. Do convinced Eurosceptics reject the idea of a "Euro-license" because it is also a means of furthering European political integration, or do we accept the idea at face value and go along with it? Alternatively, we could argue that the measure could have been achieved by a separate treaty or convention, without the European Union – which seems the best answer. We can accept common European initiatives, but do not need political integration to make them happen. 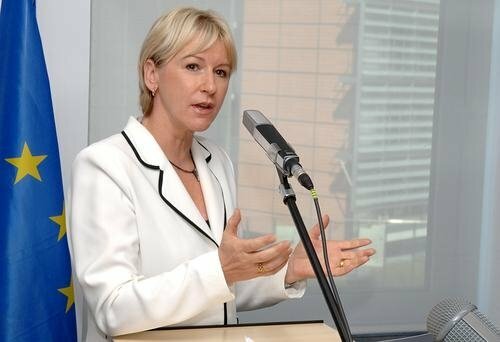 "With American forces heavily committed in Iraq and Afghanistan, European governments as always helpless to do anything without American leadership, and Khartoum assured of support from its Arab neighbors no matter how many Negroes it kills, recent Western efforts to expand the size and scope of peacekeeping efforts in Darfur have been, essentially, a transparent bluff. A halt to genocide there could happen only if the perpetrators of genocide saw fit to allow it. Well, the bluff has been called. No one should be surprised by what happens next. 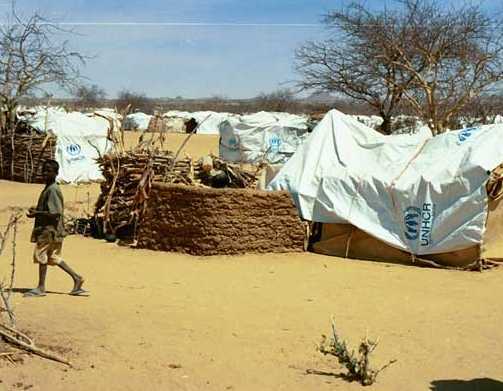 Twelve years ago in Rwanda the governments of the civilized countries could say more or less plausibly that the explosion of genocidal violence in that country was well beyond anything they had expected. That can't possibly be the case where Darfur is concerned; Sudan's war against civilians has been going on since 2003, and Khartoum has now made it clear that it will continue. How will the United States and other Western nations respond?" Read the story on Chequer-board and on Sudanreeves. The one thing of which you can be sure - despite the bleating from the EU and its pretentions of being a "world power", it will do precisely nothing. So utterly devoid of any serious resolve is this construct that even in the Congo, all it can manage is an over-the-horizon force of 800 troops. The Times business section has picked up on the tale of the new accession countries which want to join the euro. Slovenia is first in line with Lithuania and Estonia not far behind. All three would like to be fully signed by next year. However, The Times notes a certain lack of enthusiasm for these "euro wannabes", not least because of the crisis surrounding the political dimensions of the European project. Eurozone politicians are presumably reluctant to court further popular discontent by ushering Eastern and Central European nations into the euro. 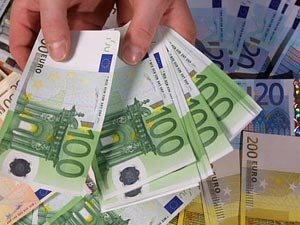 With the new EU countries also inclined to be more aggressively in favour of Anglo-Saxon-style economic reform, "Old Europe" may also fear that widening euro membership might lead to monetary union becoming more of a means to foster economic reform, and less an instrument for political ends. Locked into the language now is the current definition of the downside of the euro, the paper referring to the "one-size-fits-none" — interest-rate regime. Critics who have complained of the current Eurozone not being an optimum currency area have been vindicated. Far from converging, the euro, and the application of a single interest rate to its twelve members, has entrenched growth differentials between the zone's laggard core economies, led by Germany, and its fast-expanding peripheral ones, such as Spain and Portugal. The result has been the build-up of perilous economic imbalances and mounting political tensions that have led to speculation that monetary union might even collapse. In Spain, which entered the euro as a relatively poor nation, it is not surprising that there has been rapid growth during a period of catch-up. But the inappropriately low Spanish real interest rates created by its relatively high inflation and the ECB’s low nominal rates have fostered a house-price bubble, as well as an explosion in the country’s current account deficit to levels as severe as those in the United States. In Italy, meanwhile, the single interest rate has allowed the persistence of inflationary pressures from rapid increases in its wage costs that have greatly eroded its competitiveness and led to repeated, painful recessionary episodes. The Times thus argues that the would-be new euro countries of Central and Eastern Europe would greatly compound the deep-seated difficulties already confronting monetary union. The national incomes of these states are a tiny fraction of those of existing euro members, implying even greater stresses from a catch-up process inside the euro than those experienced by the likes of Spain. And, for the ECB's policymakers, a further expansion of the euro must risk making an already intensely difficult task all but impossible. For the twelve existing eurozone members, it can only amplify the forces that are already shaking the single currency's foundations. Despite all this, The Times thinks that Slovenia will become the euro's thirteenth member state next year – but it suggests that going beyond that inauspicious number may prove not just unlucky for some, but unlucky for all. While the prosecutor looks at the evidence again, he need not be in prison, particularly not in the maximum security Policharki Prison, which holds hundreds of Taliban and Al-Quaeda jihadists and terrorists. President Hamid Karzai has been under some pressure over the case from the American, Canadian, Australian, German and Italian governments. The Pope, too, has made a plea for clemency. Sadly, there has been nothing from our own Foreign Secretary as Charles Moore pointed out in the Daily Telegraph yesterday, nothing from the Prime Minister, who is, after all, married to a leading human rights lawyer. Nothing, as we have said before, from the Archbishop of Canterbury or the Archbishop of York. And nothing, absolutely nothing from the humanitarian, freedom-loving European Union. 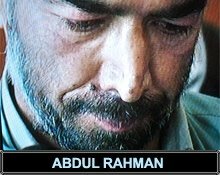 While Rahman’s life remains in danger from clerics and some of his more excitable compatriots, one newspaper in Afghanistan has called for his release, arguing that the country cannot live in isolation. It needs western support and, in return, must show that it is prepared to abide by more open rules. Meanwhile, in a completely separate development, the Iraqi embassy in Toronto has expressed its opinion of the bothersome and ungrateful Christian Peacemaker Teams hostages. “Iraq's embassy to Canada lashed out at the Christian Peacemaker Teams Friday, calling them "phoney pacifists" and "dupes" after the antiwar group responded to the rescue of three of its kidnapped activists by condemning the U.S.-led military intervention in Iraq. The Iraqi embassy called CPT "willfully ignorant" and "outrageous," and accused the Chicago-based group of being on the side of anti-democratic forces in Iraq. Couldn’t have put it better myself. The words "useful idiots" spring to mind. 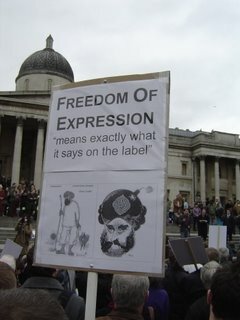 The only story that has been circulating about the Freedom of Expression rally in Trafgalgar Square yesterday and has popped up in such widely differing publications as the Jerusalem Post, the Gulf Daily News and the Washington Post comes from AP and puts the number of attendees (as it was not a march, they are not demonstrators) at 200. It is always difficult to work out who is an attendee, who has strolled up casually to listen to the speeches and who is a tourist intent on feeding pigeons, but I would put the numbers at 1,000 or just over at its height. So that is the good news: a rally for free expression, organized by two people, publicized through the internet and financed by supporters, could still attract 1,000 people on a grey Saturday afternoon. The coverage in Britain has been thin and misleading. The BBC has used the headline to write about the anti-march organized by Muslims in Birmingham, who are not against freedom of speech, honest, but will not tolerate those pesky cartoons or anything else they do not like. The Guardian used it to prosecute its interminable war with its sister paper the Observer and its coverage of the anti-war rally the previous week-end (also somewhat sparsely attended though better than the Freedom of Expression one). Why it should be news that Tony Benn or Hizonner the Mayor addressed another anti-American rally is hard to fathom but the Guardian thinks so. Freedom of expression it does not think is important. As it happens, one of the organizers, Peter Risden, had been interviewed on the World at One on Friday, so there had been some pre-publicity in the MSM. Unfortunately, he was mostly interviewed about the instruction that went out not to bring those cartoons to the rally, though, of course, nobody would be stopped if they did so. The purpose of that rather odd decision was, as usual, to attract moderate Muslims. But, of course, if they really are moderate in the sense of understanding freedom, they would not mind the cartoons. 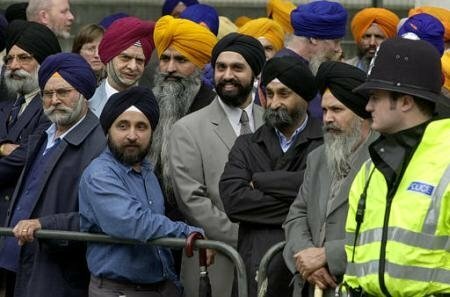 Banning them is surrendering to the extremists. 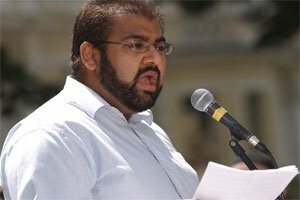 Mr Risden has since been accused by correspondents on the March for Freedom of Expression blog of grovelling to the deeply unpleasant Muslim Action Committee. The row about the cartoons, summed up the problems with the rally and, probably, contributed to the low attendance. Another reason may well have been the fact that there were seven speakers scheduled. In the event, all of them or the ones I heard, spoke far too long. When I looked at the final list, my heart sank and I seriously thought of not going. Duty as a blogger prevailed. The organizers’ ambivalent attitude to the Danish cartoons and, therefore, the sequence of events that made it necessary to have yesterday’s rally spread to the participants. Most of them turned up with carefully and uniformly printed placards, made, I believe, at a “workshop” last week-end, which carried very sober and well researched quotations about freedom. I am glad to say some people turned up with home-made posters, some with the cartoons, some merely expressing solidarity with Denmark. I suppose the weather didn’t help but the fun and pleasure that came across in the photographs of the demonstration outside the Danish embassy in Washington DC was absent. Possibly because there were not Danish pastries. What there was a great deal of is talk about all sorts of attempts to control freedom of speech and expression, so it would not seem to be an anti-Islamist rally. There were several passionate calls for the right to publish cartoons and to broadcast “Jerry Springer - The Opera” on the BBC. Two problems with that. One is that the BBC is financed by the taxpayer, so the decision to broadcast something should be addressed with that in mind. Secondly, I believe the opera was broadcast whereas the cartoons were not published in any newspaper in Britain. So, errm, where is the equivalence? There are, of course, only so many ways you can say that you do not agree with all the speakers at the rally (in particular with Sean Gabb of the Libertarian Alliance and Mark Wallace of the Freedom Association, these two not being on the Left of the political spectrum) but everyone should have the right to say what they want. I wandered over as Evan Harris, a Lib-Dim spokesman held forth at length about the government’s attempts to abolish freedom in this country (true) and his own courage in standing up to it. As his party is absolutely in favour of further integration into the European project and the European constitution, some doubts on the subject might be held. At least, I had missed the first speaker, Maryam Namazie, billed as a Human Rights activist, but actually an Iranian Communist, active in that party in the West. It is hard to see why Communists are ever allowed at these gatherings while anyone labelled neo-Nazi (the BNP, naturally) are not. The former are not known as supporters of free expression or free speech whenever they happen to be anywhere near power. How much free expression would there have been in Iran if, instead of the Ayatollah, it had been the Workers’ Party (i.e. the Communists) who had come to power as it had been confidently expected at the time by the Western media. About the same as there is under the various Ayatollahs, though another ideology would have been pushed down everybody’s throat. Ms Namazie was responsible for one little bit of entertainment, between two speeches when she informed us through the organizers that the police had taken aside and talked to one of her friends as someone had complained about their “banner” – a cardboard lid, actually – with the cartoons on it. She then rather hysterically demanded that we all hold the banner in turn as they cannot arrest all of us. I have to say the police, who looked stolidly on as they have always done with demonstrations, did not appear to be about to arrest anyone but you can never tell. I think Ms Namazie must have become confused and thought about police in Communist countries. In his account Perry de Havilland of Samizdata says he saw some police taking photographs. I did not but that does not mean he is wrong. It may have happened after I had left or become semi-comatose with boredom. If they did, one would like to know the purpose. But then, Mr de Havilland seems to imply that the presence of a largish police contingent at a rally in Trafalgar Square is somehow unusual or a new development. I wonder what makes him think that. I did see one police officer talking earnestly to a group of Asian youths, who subsequently dispersed. 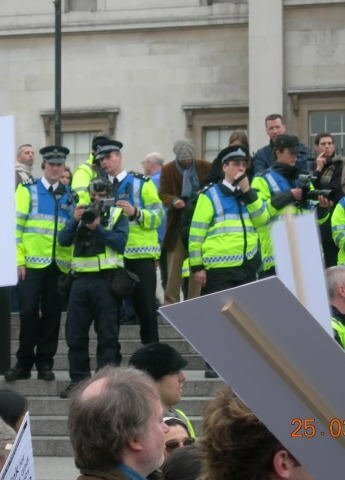 Another person there wrote to me this morning to say that she had noticed a group of angry young Muslims in headscarves and fatigues being taken away as they tried to disrupt the proceedings just before Peter Tatchell spoke. That, I imagine, was not about the cartoons but the general Islamist hatred for Tatchell and his campaign for the rights of homosexuals around the world. In fact, much of his speech was fascinating and horrifying. Tatchell called on the police to affirm the right of every individual to protection as long as they did not threaten others. It is easy to blame all this on Plod Blair but as the campaign of hatred seems to have been going on for years, perhaps that “copper’s copper” Sir John Stevens, now Lord Stevens, would like to explain the policy. If only Peter Tatchell had stopped with his calls for freedom of speech for all, even the Islamists who abuse him (as long as there are no direct threats). Unfortunately, he had to go further and tell us of the things that we must not have: racism, Islamophobia and anti-semitism of the kind the BNP produces. The audience was left in some doubt as to whether he believed in freedom of speech for them as well or whether he thought that the likes of Nick Griffin should be imprisoned. The trouble is that when speakers start equating matters, they run into difficulty. Tatchell, for instance, passionately called for the right to criticize the Iraqi war (not sanctioned internationally – by the UN, one presumes) and Guantánamo. I haven’t noticed that anyone has been banned from doing all of this. In fact, it is hard to open a newspaper without reading bleatings about Gitmo. Freedom meant criticizing, if needs be, the Queen, the Prime Minister and the Archbishop of Canterbury (who is stopping him?). Someone in the audience shouted: “and the Prophet” but Mr Tatchell ignored that. On the other hand, there were ideas that were beyond the pale: nazism, homophobia, racism, misogyny and creationism (somewhat random, that last one). The same person from the audience shouted: “Islamism” but again Mr Tatchell passed. And, of course, one must not mention the “C” word or the Iranian activist lady might get upset. The next speaker was Keith Porteous Wood from the National Secular Society, who told us at length and with much repetition that the problem was with religion, any religion. At that point I decided that he was entitled to his views but I was entitled to my right not to listen. As journalists used to say: I made my excuses and left. Luckily, the National Gallery was within a few steps. This means that I missed Dr Sean Gabb of the Libertarian Alliance announcing that everyone is allowed free speech, even David Irving, Nick Griffin, Abu Hamza and Frank Ellis (I’ve read his press release). Dr Gabb seems to think that he is the only one to say all of this and he probably was yesterday. But, actually, there have been many people (this blog included) who said that Irving ought not to be imprisoned for his falsifications. Nick Griffin was found not guilty by a jury on two counts and there was no decision on two more. The re-trial is likely to come up with similar results and, again, many people have said that the trial was wrong. The Danish cartoonists, meanwhile, are in hiding, as are Muslim politicians in the Netherlands, Sweden and Denmark. The trouble with defending Abu Hamza is that you are venturing well beyond free speech or free expression into the realms of incitement of violence and attacks on a person. That this has never been allowed in this country, even when our newspapers were a lot more free to insult anyone they liked, is shown by the fact that six of the eight charges on which he was found guilty come under legislation of 1861. As I wandered round the National Gallery I could not help asking myself who of all those people would stand with this blog, should Dr Waheed’s threats be repeated and, indeed, become more definite. Of the speakers, Peter Tatchell probably and Mark Wallace, whom I also missed, certainly. I know enough of the Freedom Association to believe that. The others? Hmmm. The Communist lady is unlikely to support us, given the rude things we have said about her creed. The Lib-Dims are not going to be anywhere near a eurosceptic blog. The other organizations seem little interested in anything but themselves. Of those who attended, I have to discard all the ones who came with the carefully created identical posters. No stepping out of line for them. But I expect the lady with the Danish flag that bore the legend: “Londoners stand with you” will be on our side. There is a general rule, the adherence to which reduces the chances of making a fool of yourself. Simply, that rule is: make at least some attempt to find out what it is you are pontificating about, before opening your mouth or committing fingers to keyboard. Others have put it better, in terms: "engage brain before opening mouth". However, since the publication by The Times last week of the story about the possible banning of organs by the EU, any number of politicians have chosen to ignore that rule. They are thus in grave danger of doing precisely what comes so naturally – making fools of themselves. This comes over with abundant clarity from Booker's column today, under the heading, "Organs will still sound despite the law's confusion". Few EU directives, Booker writes, have caused more upset in recent times than the one said to threaten the survival of tens of thousands of organs, in cathedrals, churches and concert halls throughout Europe. The suggestion that this law might, in a way it was never intended to, do away with these magnificent musical instruments, which have been at the heart of European culture for centuries, has understandably sent a shock wave across the world. Yet, astonishingly, he adds – being somewhat kind - it emerges that this furore arises from a basic misunderstanding of the nature of organs, leaving officials and politicians hopelessly at sea in their interpretation of a law that they themselves have framed. The problem, as we know, began with a Brussels directive, 2002/95 on the Restriction of the Use of Certain Hazardous Substances in Electrical and Electronic Equipment (RoHS). Among the substances which this bans from use in electrical equipment is lead. We also now know that the metal pipes which produce sound in an organ can only be made from a lead-tin alloy. Nothing else will do, to create their incredible range of tones. The air that passes through these pipes (of which there may be many thousands - the Royal Albert Hall's organ, for example, has 9,999) is usually driven by an electrically-powered blower. But now we get to the interesting detail. As long ago as January 2001, when RoHS, and a companion directive on the disposal of electrical waste, were first under discussion, Douglas Levey of the Institute of British Organ Building (IBO) wrote to the Department of Trade and Industry to make sure that any ban on lead would not apply to the organ pipes themselves, since these are wholly separate from any parts worked by electricity, such as a blower or electronic controls. He had no answer to his point, and the directive was issued in 2003, followed last autumn by regulations passing it into UK law. It was now vital to everyone in the organ world that the issue should be clarified before the regulations came into force, on July 1 this year; so last month Mr Levey wrote to the European Commission. But it became obvious that, since none of the officials involved had properly focused on how organs might be affected by the directive, they were unable to give a clear response. The Commission merely advised that the onus for determining whether any "product" is covered by the directive lies with its "producer", as the "person best placed to assess the characteristics of his product". That is the nub of the matter. It is for the producer to decide whether their equipment comes within the framework of the directives, and it is therefore, for the IBO to convey its members views to government, and not the other way around. On this basis the IBO was confident that, though the directive applied to the electrical installations in an organ, it did not apply to the pipes. To identify them as "electrical equipment" would be as absurd as to claim that, if a building is fitted with air conditioning, then the whole structure should be considered as an electric device. Nevertheless, however clear this has seemed to legal and other experts, it has so far been too much for politicians or officials to grasp. When a DTI minister, Alun Michael, was challenged in the Commons last week, he could only suggest that the organ builders should apply for an "exemption" from the law. As the IBO explains on its website, this wholly misses the point. First, it implies that organ pipes are covered by the directive (otherwise there would be no need for an exemption). Second, such exemptions are only temporary, so that, in a few years' time, the whole case would have to be argued again. That is why, Booker tells us, on Tuesday, following the Commission's advice and with growing support from across the musical world, the IBO will visit the DTI to insist that there must no longer be any confusion about this matter: the directive is irrelevant to organ pipes. Ultimately the only authority that could gainsay this is the European Court of Justice, the final arbiter on the meaning of EU law. And, with a good helping of irony, Booker concludes: "the possibility that the ECJ might interpret the directive in a way that would force the eventual removal of the organs from the cathedrals, churches and concert halls of Europe, and expose the EU to the ridicule of the entire civilised world, must be unthinkable." Conservative website call for? Er… and exemption, claiming a "victory" because Alun Michael has agreed to consider this. Similarly, the MEPs Roger Helmer and Chris Heaton-Harris rushed into print on 22 March with a press release, headed "Hands of our organs", demanding that the DTI "ensure that the directive excludes organ pipes from its provisions entirely." Perhaps, if we could exclude some of our MPs and MEPs entirely, we might be better off. Undoubtedly, one of the reasons why the European Union is struggling is that the primary driver of European integration – the so-called Franco-German motor – is spluttering. Some would suggest that it is on the point of stalling. This is pointed up by an article in The Business today, under the heading: "Why Paris and Berlin are drifting apart". Here, it is notable that the very title takes it for granted that the drift is a reality. Says The Business, the old closeness, that steered western Europe from the aftermath of war is giving way to a more edgy relationship, politically and economically. The watershed was the French rejection of the EU constitution creating a divide which has since been reinforced by the French blocking a merger between its ailing Alstom group and Germany’s Siemens. This, is seems, caused much bad blood on the economic front. Central to the current tepid relationships, though, is Chirac. With only a year of his presidency left to run, he is seen in Berlin as an ineffective lame duck and his government as badly hit by the current unrest over labour reform. This will not be a surprise to our readers, and any student of the EU will readily understand that, from the very inception of the project, France has taken a dominant role in shaping Community politics. In so doing, it has capitalised on its "victim" status as the aggrieved party in the Second World War, relying on "war guilt" to keep Germany quiescent. But no more. The Business observes that French attempts to dictate political affairs now go down badly across the Rhine. The enlargement of the EU has put Germany in the middle of Europe, its eyes fixed on Warsaw as well as Paris. It must also be a factor that chancellor Angela Merkel is an Ossie and of a generation that is distanced from the War. She takes a wider view than Schröder, and could not be more remote from the Rhineland influences of his predecessor Helmut Kohl. Thus, she is seeking better ties with Washington and is less ready to play the anti-American card that her predecessor used to chase votes. Furthermore, structural and economic differences are beginning to re-emerge as significant political issues. 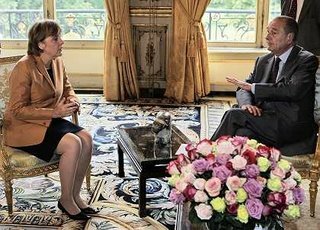 France and Germany differ over the creation of a single market for services, with the Germans aligning themselves with the EU, expressing increasing irritation over French protectionist moves. The French, on the other hand, sensing their loss of influence over Germany and no longer being able to dictate the EU agenda with such ease, are beginning to withdraw from the "project", projecting an increasingly nationalistic stance on a wide variety of issues. 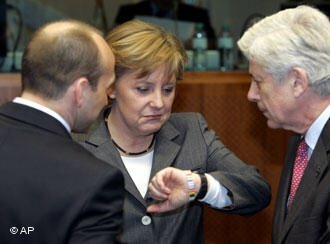 It was once thought – not least by this blog – that the emergence of the right-of-centre Merkel would by matched by the election in 2007 of the right-wing Nicolas Sarkozy, and re-invigorate the Franco-German motor, but The Business seems to feel otherwise. It suggests that a newly assertive Germany is here to stay and the current cooling of relations presages a fundamental shift in the balance of power. Concludes The Business, France has not yet accepted that shift, noting that, until it does, the scene is set for increasing tension between the two main European players. The question left hanging, though, is what happens when France does wake up to the reality of its diminished position. If history is any guide, a possible outcome might be a French retreat from the project, with a new president adopting Gaullist tactics, actively sabotaging Community initiatives. This time round, though, Germany is unlikely to back down, leaving the possibility that France will end up seeking to form new alliances, effectively leading to a break-up of the European Union. Whatever else, it is abundantly clear that the days of the European Union as it currently stands are numbered. Already, we have reached the limit of integration and the central question is how member states are going to adjust to the new reality. We have been running this blog for nearly two years now, and following EU affairs for many more. And never in that whole time have we experienced such a dearth of news on EU issues – not even during the long summer holidays, when little activity is expected. Given that the EU has just held its main European Council for the year, one would have thought that there would have been some follow-up in the Sundays, but nothing appears at the time of writing. Even the Telegraph's David Rennie, on his own blog admits that the Council was an non-event, enlivened only by Chirac's grand sulk. Clearly, there is a massive political vacuum at the heart of the EU, which bodes ill for the project. But that does not mean that it is no longer exercising its malign effect. Booker updates us on the organ saga, and we'll fill in the background detail later today. The Telegraph today records the passing of a boyhood hero of mine. This is Pierre Clostermann, who has died aged 85, was one of the leading French fighter aces flying with the RAF during the Second World War. He flew 432 combat sorties and destroyed at least 18 aircraft in the air and on the ground. 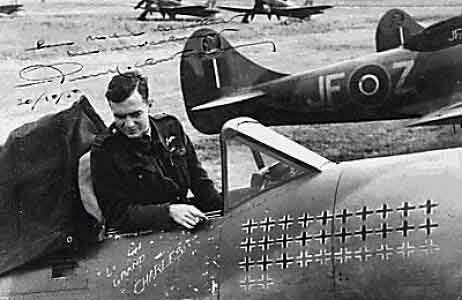 A charismatic and sometimes controversial figure, he wrote a classic account of his wartime experiences which is considered by many to be the finest aviation book to come out of the war. I recall being transfixed by that book, first published in French as Le Grand Cirque (The Big Show). It was subsequently translated into 50 languages and sold three million copies worldwide. Marshal of the RAF Sir John Slessor described it as "a magnificent story, making one proud, not only of those French boys who fought so gallantly, but of the RAF in which they served". Former Chancellor Gerhard Schröder has once again resorted to the courts to protect his reputation (a lost cause in our opinion but it is his money). Schröder’s lawyer, Michael Nesselhauf, has announced that he had won a temporary injunction against the leader of the Free Democrats, Guido Westerwelle, who is not allowed to repeat something he had said about the former Chancellor. And what was this heinous comment that Gerhard Schröder simply cannot live with? What terrible crime was he accused of with no evidence whatsoever? “gave a contract to a company as chancellor … and then took up a job with that same company just weeks after leaving office”. committee of the consortium building the North European Gas Pipeline linking Russia and Germany, less than one month after Angela Merkel succeeded him as chancellor. The €4 billion pipeline agreement was signed just 10 days before the German general election in September, at a ceremony attended by Schröder and the Russian president, Vladimir Putin. 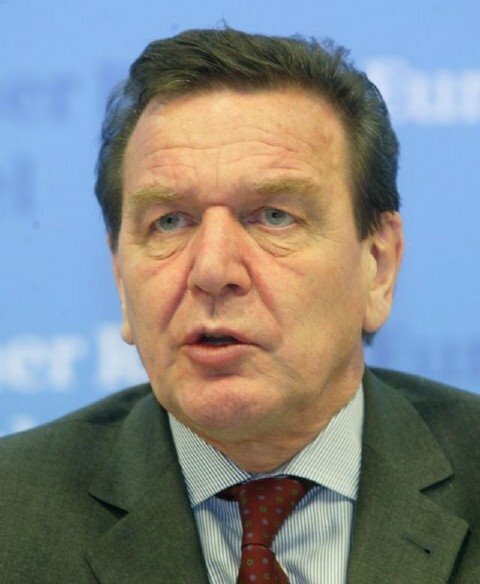 “[a] poll in the news magazine Der Spiegel this week showed that 62 percent of respondents believed that Schröder "should have shown more reserve" in his business activities after leaving office. Don’t know what the man is worried about. He is still managing to fool thirty-one per cent of those asked. What is more to the point, our posting on the Shabina Begum case is still up and our “friend” Dr Imran Waheed has not responded to our second posting. We are waiting to hear from him and his organization and, in the meantime, my colleague and I remain careful about any parcel we might receive unexpectedly. As we expected, we have had a great deal of support from our readers and readers of other blogs, like the Daily Ablution. Anything else would have surprised both of us. I regret to report that there is some uncertainty about Free-Market News Network, which republished the piece, then received an e-mail from Dr Waheed and promptly removed the posting. Unimpressive, to put it mildly, but I believe the problem may sort itself out. In the meantime, I am glad to say that we have had a great deal of information about Hizb ut-Tahrir and its various involvements in events far and wide. The history of the organization is detailed well with many references in this FrontPage article by Dr Rachel Ehrenfeld and Alyssa A. Lappen. The article traces the development of the organization and its banning by numerous Middle Eastern governments as well as Russia and, more to the point, Sweden and Germany. The authors argue for its ban in the United States and that may yet happen, though it is more widely spread in Europe. Indirectly we have found more information about Hizb ut-Tahrir on GlobalSecurity.org. Then there are all the links we have received to strengthen our case. There is the Swedish blog Jihad I Malmö, which tells us that Hizb ut-Tahrir is to be prosecuted again in Denmark for disseminating leaflets that threaten Jews and Danish politicians (and, above all, one must assume, Danish politicians who happen to be Jewish). The blog is in Swedish but can be deciphered. Anyway, the information is there. On the Ummah Forum we can see a press release (scroll down to the third piece) put out by Hizb ut-Tahrir about the Shabina Begum, which would indicate a certain connection there. And, of course, there was that interview in the Guardian with Ms Begum conducted by their own little jihadist, Dilpazier Aslam, who later left the newspaper rather than sever his links with HT (as that organization is affectionately known). The Guardian’s interesting role in the whole saga is detailed by Scott Burgess on the Daily Ablution blog. One of our readers sent us a link to a Muslim website dedicated to exposing HT as a wrong-headed organization that misleads the youth of Islam. It is not, indeed, an easy read and, probably, would not be much use in a court of law, should it ever come to that, which we hope it will not, but extremely interesting. Finally, there is the link to the career of Cherie Booth QC in Wikipedia, that refers to the case and the controversy it has caused because of the Hizb ut-Tahrir involvement. And that takes us back to the Times article we linked to in our previous posting. We think there is enough there, together with Hizb ut-Tahrir’s own website to prove our case, should it come to that. And we do not like people who try to bully us. Thus, the Times reports the EU has agreed to devise a shared energy policy for the first time, better to withstand a future of rising oil prices, climate change and strong-arm tactics by Russia and the oil producers of the Middle East. However, the detail is somewhat thin. The strategy involves EU talks with Russia aimed at avoiding a repeat of Russia's dispute in January over its gas supplies to Ukraine and a "biomass action plan", aimed at increasing the use of natural fuels in buses and cars. Also, when future energy crises loom, the policy calls for the EU to respond "in a spirit of solidarity". The game is given away though by the German news agency ddp (no link) which reports that German chancellor Angela Merkel rejected the demand by Barroso for the right to have a greater say in energy policy, refusing to allow the commission more powers. In order better to co-ordinate and ensure energy supply, Javier Solana was asked by EU leaders to prepare and hold talks with the supplying countries outside the EU, but key issues like nuclear power were not broached. Merkel, it seems, simply insisted that the national states themselves must decide on the energy mix. From this, very little seems to have been agreed, beyond vague expressions of intended "solidarity", and a few administrative programmes which were on the stocks anyway. Looking at the Council communiqué, that impression is very much reinforced. There is very little beyond the fine words which simply mask the fact that this is a policy without substance. Six European Union member states, Britain, France, Germany, Italy, Spain and Poland have met at the German Baltic resort of Heiligendamm to come up with some solution to the problems of mass immigration and assimilation. Why Poland was involved is a mystery. It is hardly a great magnet for immigrants except from countries to the east of it and those people share Polish values by and large. France, of course, had a few problems last year with its immigrant communities but I wouldn’t say those were rooted in a misunderstanding of the host country’s culture. Actually, they understood it all too well, as similar scenes, perpetrated by the more affluent students from the Sorbonne in the last couple of days, have shown. Then there is the problem of learning the local language. Is there any need for that to become compulsory? After all, if people do not want to learn the language, well, so be it. The problem is surely the billions of taxpayers’ money spent on providing official information in many different languages and not insisting that English be the first language in schools and other official institutions. Take all that away, reform the tax and welfare system so it encourages people to get jobs and the incentive to learn the language will be there. Of course, none of it will happen but then neither will the compulsory testing of language. And if the latter is introduced there will be many ways of getting round the problem. Several countries, Britain included, are introducing tests on the host country’s culture for those applying for citizenship or, even, asylum. All fine and dandy but how do you define culture? The British test, I believe, includes questions about soap operas and one about the Queen spending her holiday in one of her castles. I would certainly fail all those. But ask me anything about Queen Elizabeth and her pesky sea-dogs and there will be no stopping me. As for the Sherlock Holmes canon – well, don’t start me on it. Other countries, like the Netherlands, and some German länder are trying to gauge the immigrants’ and potential new citizens’ reaction to various rather thorny subjects, like homosexuality and women’s freedom. So far there have been an outcry from some of the left-wing parties and threats to go to the European Court of Human Rights by the Muslim organizations. Who says they do not understand our culture? but which cannot be enforced. Instead, let us make it clear that people are free within the bounds of the law. And that, as we now know, includes schools deciding on their own uniform. It also includes an acknowledgement that honour killing is murder and is to be punished as such. It includes a ban on incitement to violence and a firm assertion that there is only one Parliament (well, give or take those Assemblies in Cardiff and Edinburgh). In other words, the greatest and most important value that all immigrants must accept is the rule of law with freedom for all guaranteed within it. But then, the rule of law is not something the EU can fully comprehend itself. Nor is it entirely clear on the subject of democracy or, for that matter, freedom. The blind leading the blind. Mon Dieu, les Biftecks rule OK! Are we winning? Are we losing? Get on your (Euro) bike! Are they even on the same planet? Do they need to be controlled?